Why is Les Miz so darn cool? Les Miserables is just plain cool. From the novel to the West End/Broadway show, we analyze what exactly makes it one of the best musicals ever made. Born in France during Emperor Napoleon's reign. Not just a novelist but one of his country's favorite poets. Daughter and son-in-law drowned (prompting lots of tragic poetry). Spent almost two decades writing Les Miz. Lived in exile for over ten years. During later years, elected as a senator. Our favorite piece of trivia: Victor Hugo supposedly sent the world's shortest telegram when he wanted to know how his novel was selling. He sent a question mark; his publisher replied with an exclamation point. The album struck a chord with producer Cameron Mackentosh who was looking for something to top his latest hit Cats. He found it. English lyricist Herbert Kretzmer took on the task of adapting the French lyrics for British and American theatergoers. Harder than it sounds. He had to create a lot of rhymes not found in the original text. In the process, Kretmer's translation helped to expand the musical into an epic three-hour event. The show's initial success snowballed into an international sensation. 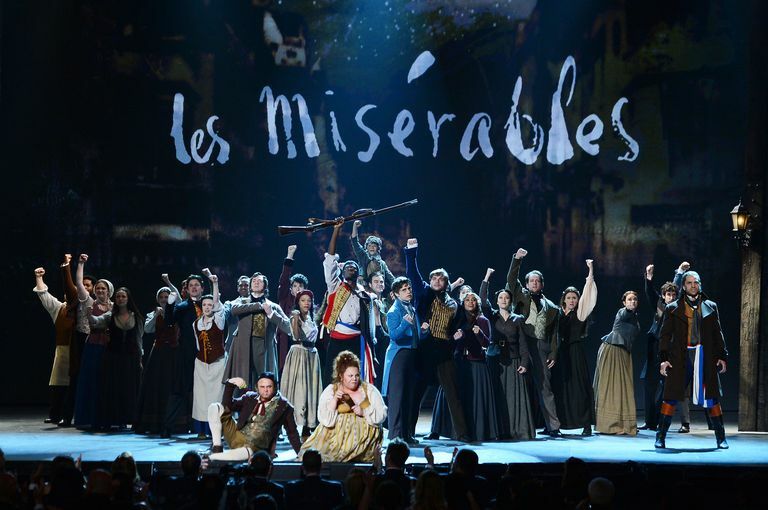 Today, Les Miserables has been adapted into over twenty different languages and performed in over forty nations. The protagonist Jean Valjean is one of literature's most beloved characters. We first meet him as an embittered convict who cannot seem to relinquish his life as a thief. However, he is profoundly changed by an act of kindness and begins an incredible journey to save a young girl from a life of squalor. Jean Valjean gets some of the best musical moments including "Who Am I? ", the beginning of "One Day More," and the heart-wrenchingly beautiful "Bring Him Home." 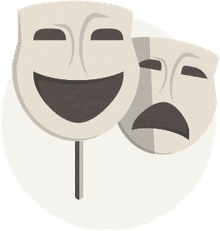 As stated above, there have been a lot of productions around the world, which means there have been different Jean Valjeans performed by actors from Norway to Japan. Note: Every Les Miz fan should watch the Tenth Anniversary Celebration in which seventeen Jean Valjeans sing. One of the best antagonist characters ever created, Javert is not your typical adversary. He is unrelenting but not villainous, unforgiving yet not without nobility. He believes that Jean Valjean is a criminal who must be punished, intent on following the letter of the law and disregarding the spirit. Javert has the honor of singing our absolute favorite song from the show: "Stars." Lately, national tours of Les Miz have opted for digital projections, but that's a shame because there is nothing more awesome in stage technology than a revolving stage. We had the pleasure of seeing the Broadway production in 1989, and we were amazed by the smoothness of the set changes, the scene transitions, and the choreography - all during 60 plus rotations on an enormous stage. We left mesmerized, and wondering if any of the cast members ever got motion sickness. There was a lot of buzz that Taylor Swift would be playing one the most sympathetic characters in Les Miz, the love-starved Éponine. Fortunately (no offense to Ms. Swift) the role is played by the more theater-savvy actress Samantha Barks. When Did 'Les Miz' Really Take Place?